As you may know, Jay Z and producer Timbaland are accused of violating the rights of famed Egyptian composer Baligh Hamdi to create their 1999 hit ‘Big Pimpin‘. 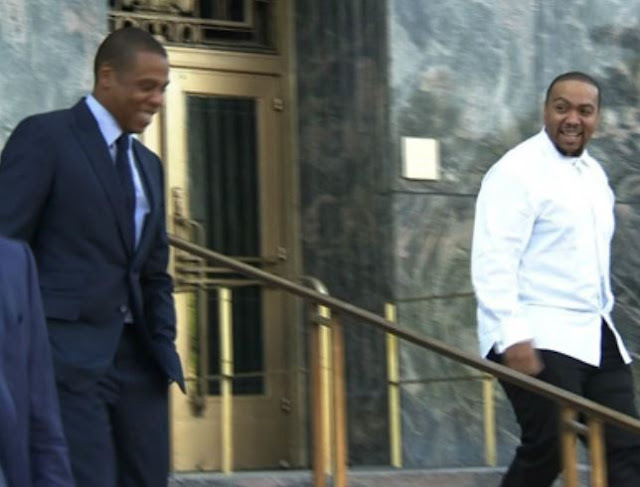 The trial for the same commenced at a Los Angeles federal court on Tuesday, October which was personally attended by both the rapper and producer (watch video below). Attorney for heirs of the Egyptian composer, Pete Ross accused the rapper of misusing music from a popular 1950s love ballad by Hamdi called ‘Khosara Khosara’. He argued that Jay Z rapped vulgar lyrics over Hamdi’s beautiful melody without receiving the proper permission to do so. He said it also violated Hamdi’s “moral rights,” a legal concept he said is well-established in Egypt that would have required them to get permission to use elements of the song celebrating a promiscuous lifestyle. However, Timbaland’s attorney, Christine Lepera, told jurors that the producer initially used elements of Hamdi’s work thinking it was royalty-free, but he later secured the appropriate rights. According to AP, The trail will continue on Wednesday with testimony from an expert on Egyptian music who began testifying Tuesday about Hamdi’s life and influence. WHAT'S YOUR FAVORITE JAY-Z ✘ TIMBALAND TRACK ?